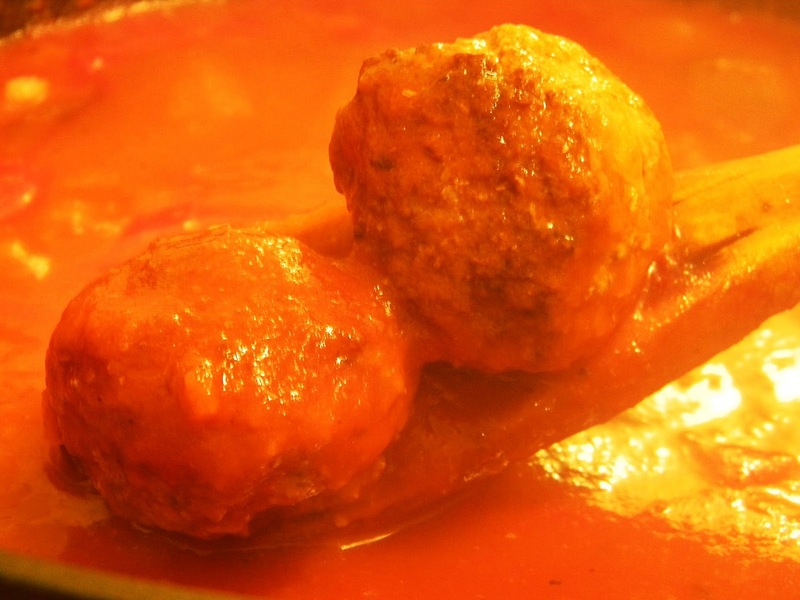 Likely everyone in America has an opinion on the recipe and/or origin of classic tomato sauce and meatballs, especially if you are of Italian ancestry. Some say this is purely an American recipe that was adapted by early Italian immigrants out of necessity, while others believe it has its roots in the "old country"...and surely no recipe is as good as your mother's or grandmother's. Anyhow, I am not of Italian ancestry but grew up eating spaghetti-and-meatballs (made from scratch), and it's still one of my--and my son's--favorites. It's easy to prepare, delicious, and you can make enough meatballs and sauce to freeze for a future meal when you're in a hurry. We had this for dinner tonight and it was so good I believe I'll go back for another helping. Likely you have a recipe for this, but in the event that you don't I've included a basic one below. If you'd like to read an article I wrote on pasta in general some years ago (which was originally published in Artvoice but is still floating on the Internet at AlterNet), click here. Heat the olive oil over medium-high heat in a small sauce pot. Add the onion and sauté until translucent, but not browned. Add the garlic and sauté 1 minute. Stir in the sugar, basil, salt, and pepper; sauté another minute. Add the red wine, and allow it to simmer for 30 seconds. Stir in the broth and tomato purée. Bring the sauce to a slow simmer. Combine all of the ingredients in a small bowl, and knead them for a minute or two, or until they are a homogenous mass. 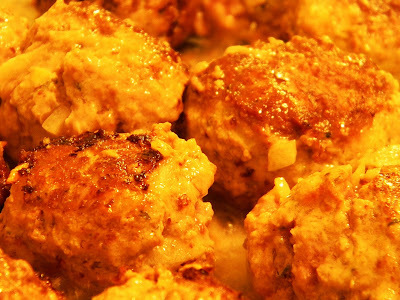 Roll the meat into 16 mini meatballs. Heat a few tablespoons of olive oil in a large skillet over medium high heat. Place the meatballs in the hot oil and brown them on all sides. 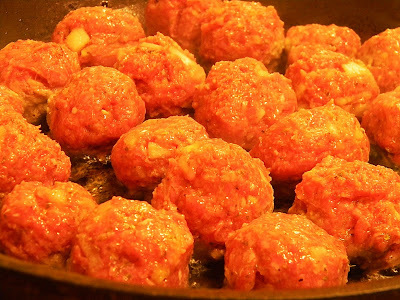 Remove the meatballs from the skillet and transfer them to the sauce. Simmer the meatballs in the sauce for 45 minutes. If the sauce becomes too thick add water or broth until desired consistency. Cook the ziti in plenty of boiling water until al dente. Drain the pasta thoroughly, then transfer it to a large bowl. Pour the sauce and meatballs over the pasta; toss until combined. Serve while hot with grated cheese and crushed red pepper.